We believe that the Cadbury Room may have housed staff that served in the home. It once had a second door leading to a back hallway and stairway to the kitchen. That second door now leads to the room’s attached bath and small closet. The bath has a tub/shower and Amish-made vanity. 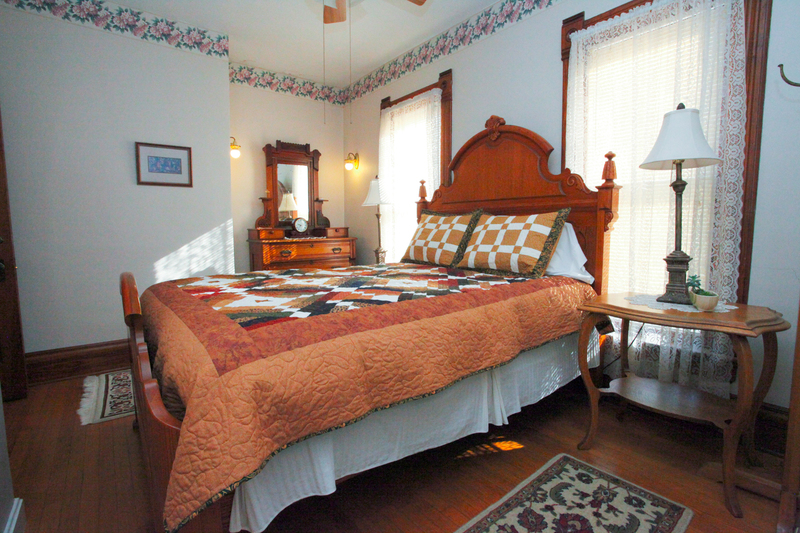 The bedroom overlooks the town of Lanesboro and distant bluffs. Above the bed hangs what we believe to be a lovely reverse glass painting depicting a young man wooing a wealthy young lady. 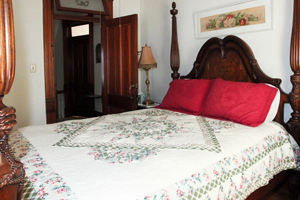 The room has good natural north light and is furnished with a queen bed, an antique marble-top dresser with spoon carving, antique parlor chair, a bedside table, luggage stand, and fan. 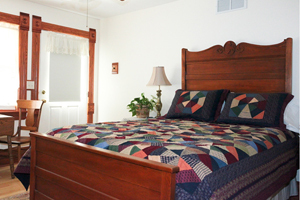 If you stayed with us before 2007, you may remember this as one of two rooms sharing a common bath. No longer. 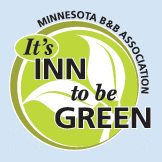 Often people are having their first B&B experience and just want to dip their toe in the water. 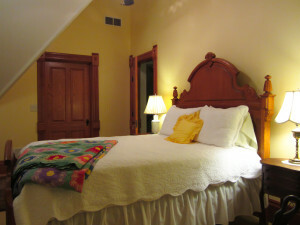 For such guests, the Cadbury Room is our one room where we do not request a two-night minimum stay.